This summer my Community Bible Study group decided to pick a book to read for a summer book club of sorts (we only picked one book and only met one time to discuss said book). 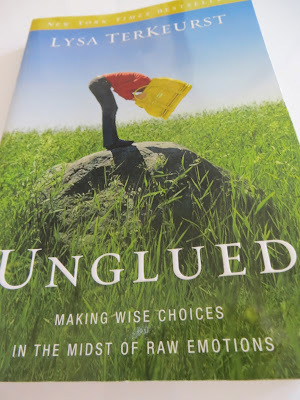 The book chosen was Unglued by Lysa Terkeurst. Ladies, this is a must read for all woman. Let's face it, we have all had those moments where we come UNGLUED. It is a quick read. You will walk away with a greater understanding of your emotions, how you handle situations, how you react to them, and will be better equipped to handle them differently in the future. Lysa's sense of humor makes it a very pleasurable read as well. I had to laugh at the cover...I have to admit there have been days where I too have wanted to scream into my handbag at the top of my lungs. Of course, she joked in the book that some thought she was throwing up! LOL Hey, handbags are good for many things. A bit off the back cover. Love the first line. If you decide to read it, I would love to know what you think. It is a great book for discussion as well, so if your book club is looking for something a bit different I would highly recommend it. If you follow me on Instagram, you might have caught a glimpse of last night's dinner. And let me tell you, it was delish! 1. Place a jelly-roll pan in oven. Preheat oven to 500* (leave pan in oven as it preheats). 2.Combine wine and shallots in a small saucepan; bring to a boil. Cook 6 minutes or until mixture is reduced to 2 tablespoons. Strain through a sieve into a bowl; discard solids. Return mixture to pan. Gradually add butter, stirring with a whisk until smooth and emulsified. Stir in rind and 1/8 teaspoon salt; keep warm. 3. Cut zucchini and yellow squash in half lengthwise. Cut each half crosswise into 3 pieces; cut each piece lengthwise into 4 strips. Combine zucchini, yellow squash, bell pepper, onion and 1 tablespoon oil in a large bowl; toss to coat. Arrange vegetable mixture carefully onto preheated jelly-roll pan. Bake at 500* for 4 minutes or until vegetables are lightly browned. Remove from oven; sprinkle with 1/4 teaspoon salt and 1/4 teaspoon black pepper. 4. While vegetables cook, heat a large cast-iron skillet over high heat. Pat scallops dray with paper towels; sprinkle evenly with remaining 1/4 teaspoon salt and 1/4 teaspoon black pepper. Add remaining 1 tablespoon oil to pan; swirl to coat. Add scallops to pan; cook 1 1/2 minutes on each side or until scallops are seared and desired degree of doneness. Serve scallops with vegetable mixture and sauce; garnish with basil leaves. We have tried several scallop recipes, and this is our favorite by far! Relaxation...my sweet hubby purchased this set for me at Christmas time. The lavender scent is very relaxing. If you are like me, hormonal and lacking sleep, I highly recommend them!! Tom's Botanically Bright Whitening Toothpaste and Wicked Fresh Mouth Wash. Again, I don't like a like putting a lot of random chemicals that I cannot pronounce in my body. I love Tom's products. And, apparently their line of dental care likes me too (sorry Dr. B, but this girl has been cavity/dental work free for several years now...thanks Tom's and Oral B) I love their mouthwash in particular...clean tasting...not "I'm going to barf, tastes like something out of my parents liquor cabinet when I was 13 (not that I would know anything about that). ***Again, I have not been compensated in anyway by these companies. I just love their products! ***Update-the Sleep products can be found at Bath and Body Works, they also carry a Stress line that my youngest who suffers from migraines loves! 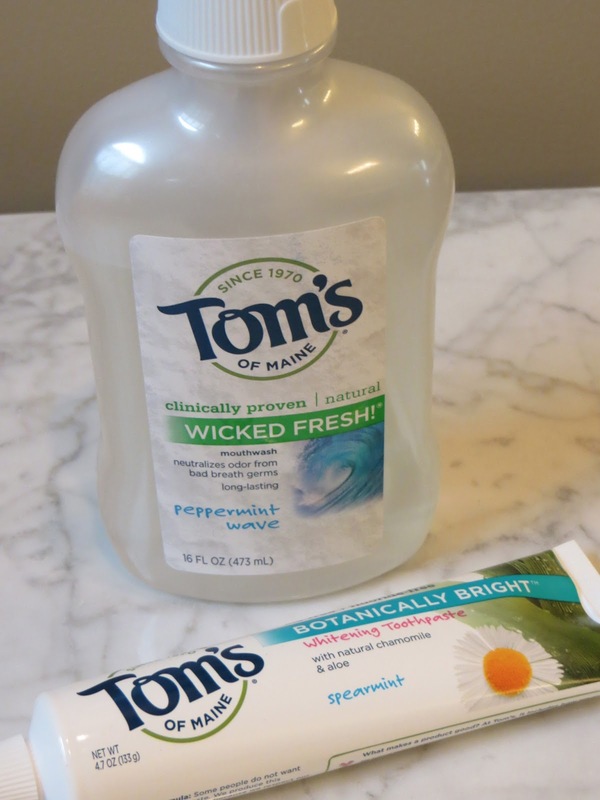 Tom's products can be found at most natural health stores-however we purchase ours from Target and Whole Foods. Well, the sun is FINALLY out. So, I decided to snap a few new pictures of our family room. I have been wanting to update my home tour page. There are still a few things I am tweaking in the room, but decided I had better take advantage of a sunny day. 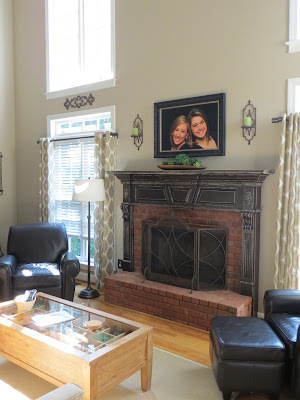 View looking from kitchen toward fireplace wall. The fireplace was originally white and I painted it a rich chocolate color and distressed it a bit. The details in the molding stand out much better now. Loving my new pillows. 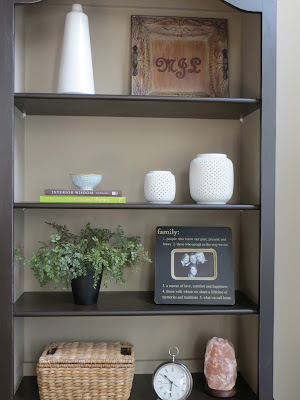 I had picked up a similar floral one at Home Goods for my back porch and loved it so much I had a couple made for the family room. The green chevron are from Home Goods as well. Love that store! Our custom built entertainment center. This wall was a blank slate when we purchased the house. With 20 foot ceilings I knew we needed something substantial. The little TV stand from our first home was not going to cut it! Again, it started off white and then I painted it shortly after the fireplace. 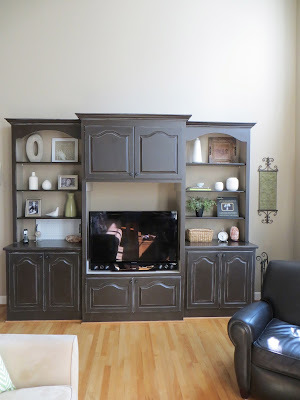 The darker color really helps to anchor the room. Our curio coffee table from Pottery Barn. This is one of my favorite pieces in the house. I love changing it up with the seasons and holidays! This year I decided to do a mix of Spring and Summer. 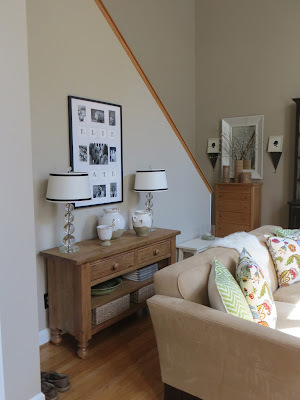 This dresser sits at the bottom of our back staircase, just to the left of the entertainment center. 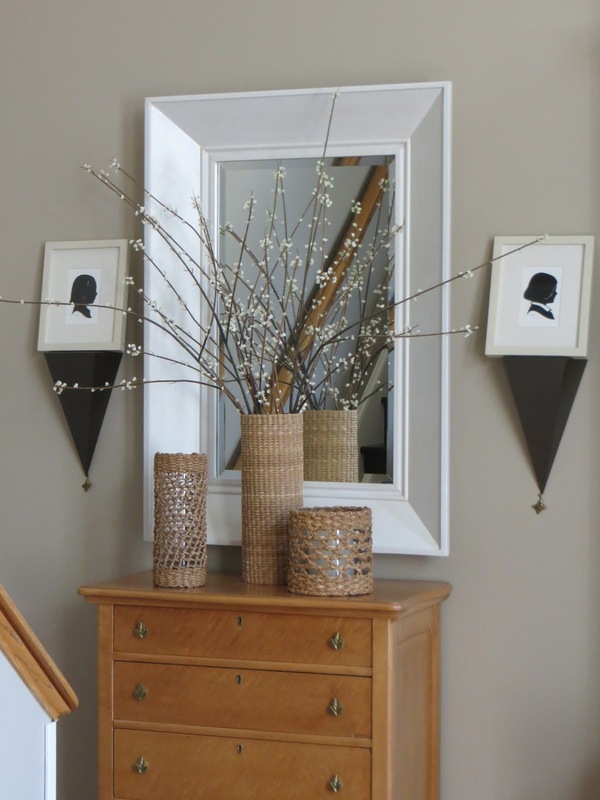 It was a piece handed down to us that originally belonged to my hubby's great grandmother. At one point in time it had 3 coats of white paint on it! I lovingly brought it back to it's original birds eye maple finish. 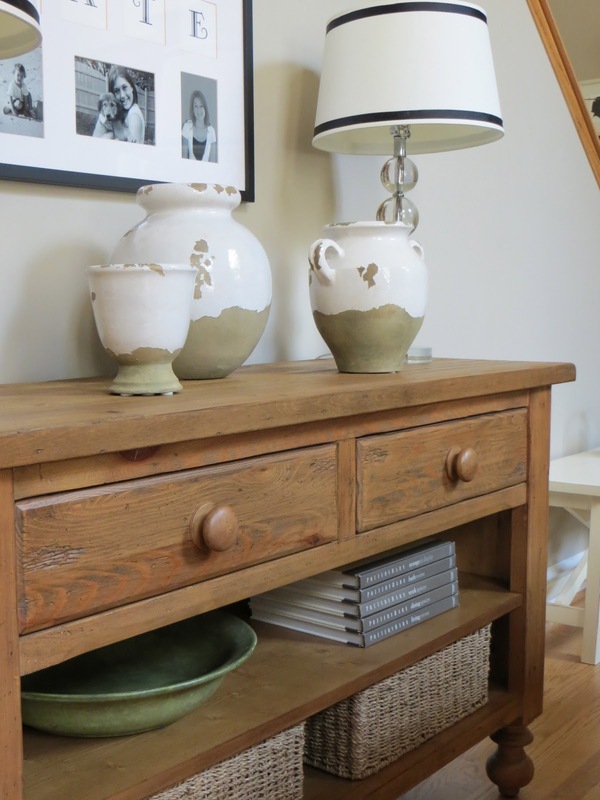 Our console table. I love the rustic knotty pine! Dough bowl arrangement on our fireplace mantel. A closer look at the shelves in the entertainment center. I like to keep things clean and simple. I hope you enjoyed the tour. 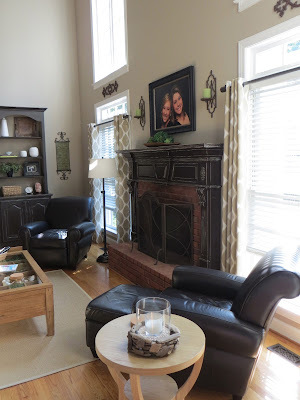 I am hoping to work my way around the house and create a home tour page soon. 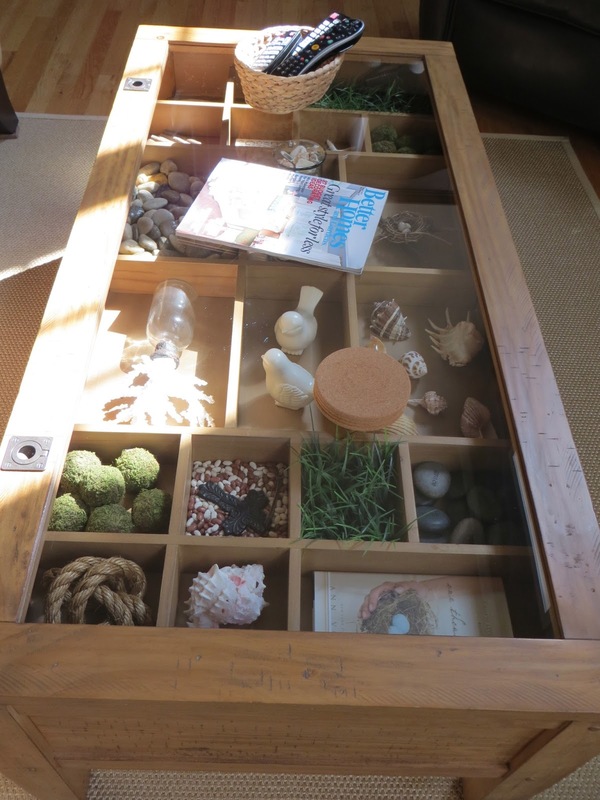 I used to store my jewelry in jewelry trays I purchased from the Container Store in one of my dresser drawers. However, it never stayed neat and it was impossible to find what I was looking for. I decided to change things up a bit. We have two Hemnes dressers in our Master Closet and I decided to utilitze them. This is the top of the one with the flip top that has a mirror. 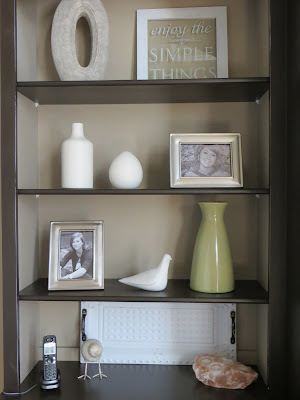 The 4 photo frame was a Christmas gift from hubby. He buys me one each year and normally I put the girls Christmas card pic in it. This year I decided to frame some of my favorite quotes and Bible verses so I could see them each day when getting dressed and ready for the day. I added a piece of hot pink felt to the top drawer of the same dresser. A girl has to have a little pink somewhere! This is where I keep my earrings in a ceramic egg crate from Anthropologie along with some of my special pieces. My everyday, go to pieces are stashed on top of my other dresser. I used a few pretty bowls from West Elm and Anthropologie to corral my longer beaded necklaces and bangle bracelets. The cute little bunny is a cupcake stand from Pottery Barn. And, the majority of my go to necklaces and bracelets hang on my jewelry stand from Brighton. It didn't make it into the picture, but there is a cute little blue bird perched atop the stand. The print in the backround is from Target. It was the starting point...love the colors!! A new addition to the line up...my sweet friend Megan of Honey We're Home, recommended this lotion. And, I am so glad she did. 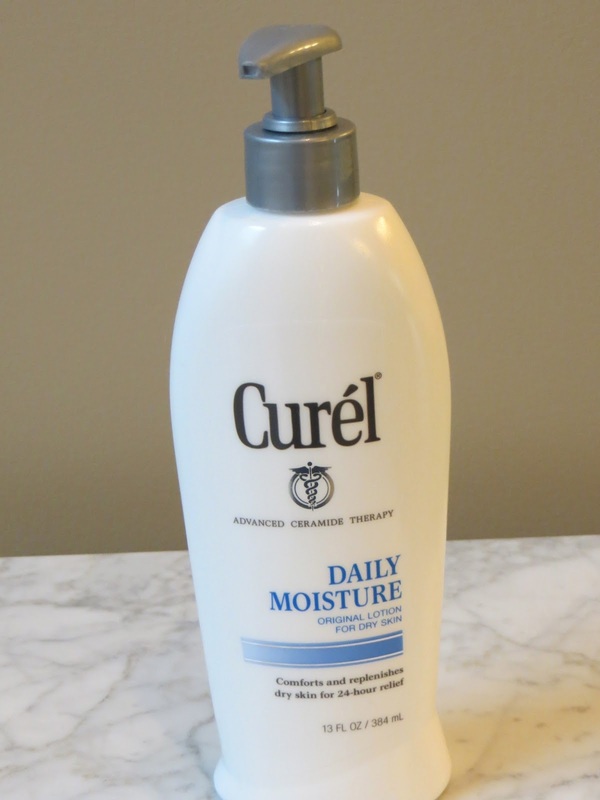 Like me, she has sensitive skin, and this lotion is non-irritating, but provides a ton of moisture! Again, a favorite found at Trader Joes. 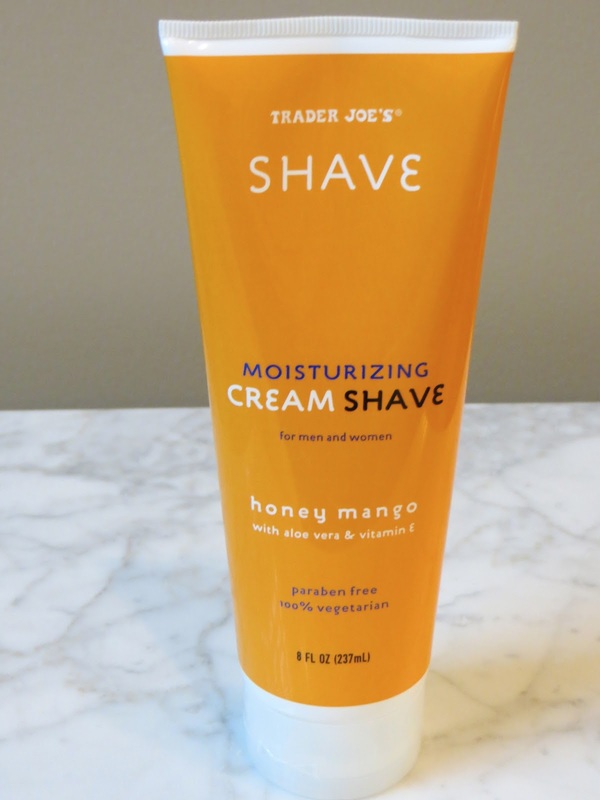 Super creamy, leaves skin moist and dewy (no irritation at all) and smells so yummy! Bring on the tropics. 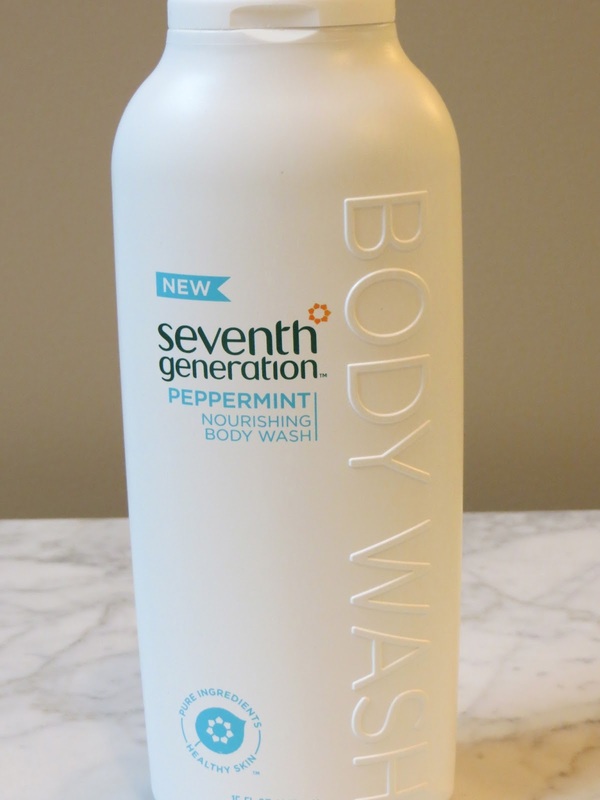 I have been a huge fan of Seventh Generations Home products, so was anxious to try their personal care line. This body wash with its peppermint scent is a great pick me up in the morning. Feet...okay...confession time...I HATE wearing shoes! 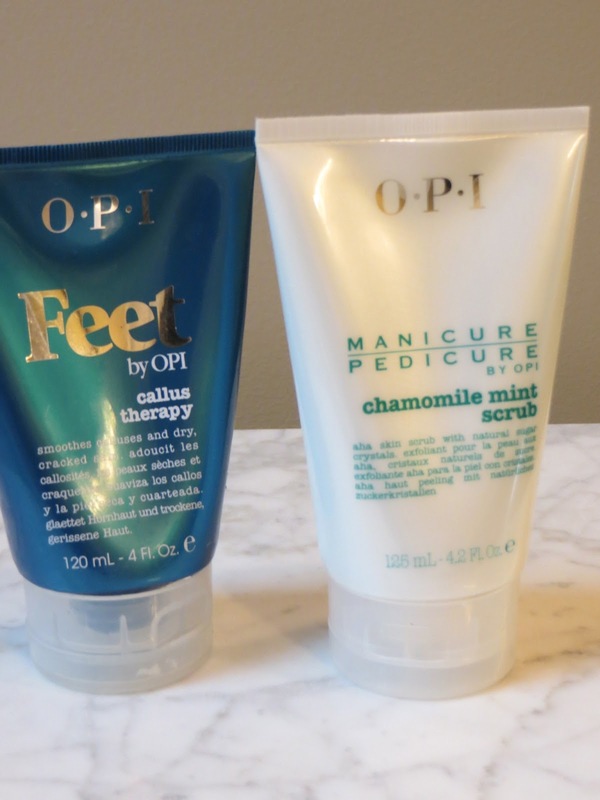 So, with that said...my feet ALWAYS are rough and have terrible calluses (my nail salon LOVES me ;-) I love both of these products from OPI for in-between appointments at the salon. ***Again, I have in no way been compensated by the above companies...just love their products. First, thank you all so much for all the sweet birthday wishes. I had a fabulous, low-key, day and enjoyed a fantastic filet and alaskan crab leg dinner finished off with chocolate flourless cake, raspberries and cream (this was complimentary and shared by all). Our youngest and I ran in a favorite local store of ours in search of a "little something" to give to our oldest as a "congrats on your new teaching/coaching postion." 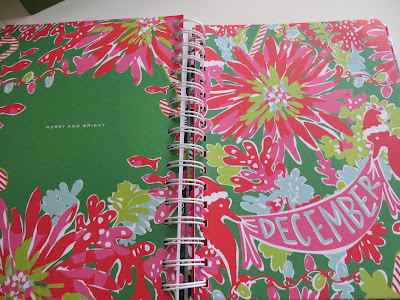 We were beyond giddy when just inside the door we spotted the new Aug. 2013 thru Dec. 2014 Lilly Pulitzer Agendas that had arrived. So, not only did we purchase one for my oldest, the youngest got one for school and to keep up with sorority stuff, and well...it was my birthday afterall...so how could I resist?!! We each got a different print, so as not to get confused should we leave them lying around when we are all together. The print I chose. Love the navy with the hot pink! Lots of fun stickers for special days. Loving that little bunny's bushy tail. 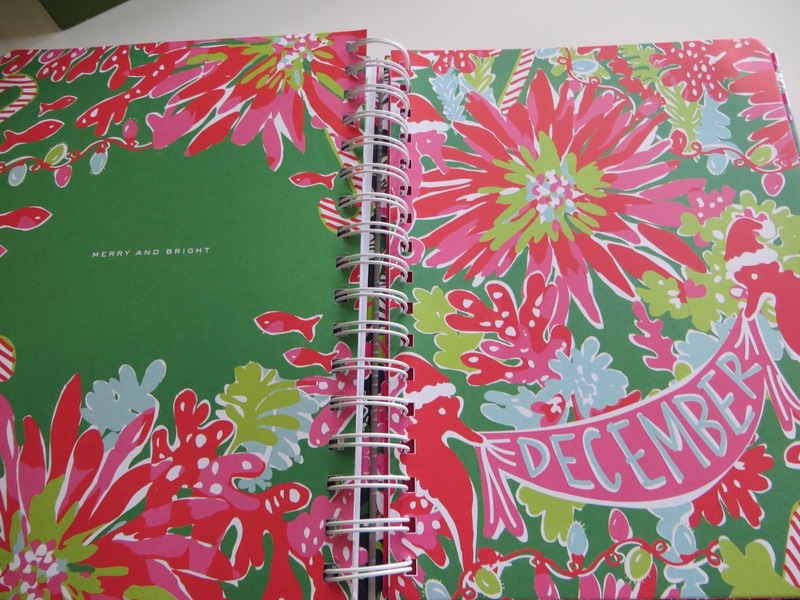 And, at the beginning of each month are these cute prints! Makes me wanna mix some pink with my red and green this Christmas! And, how cute is this for July?!!! Cannot wait to start using this next month! Hope you all have a fabulous weekend. The sun is finally out here and it is hot, hot, hot. Happy 40 cough cough fifth cough cough birthday to ME!!! 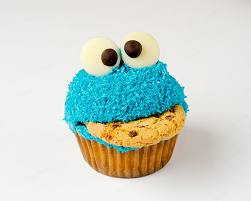 Seriously, who can resist Cookie Monster eating none other than a Cookie??? Guilty pleasures. I fully intend to eat my way enjoy my day to the fullest! Hence dinner plans with hubby, #1 and #2, and the keeper. We have a lot to celebrate. I am still breathing despite the occasional menopausal hot flashes that are burning me from the inside out, #1 survived her freshmen year with flying colors, #2 got her dream coaching/teaching job, and hubby is still alive to tell about it well maybe with a bit more gray hair. She did just that...took the leap of faith and made things happen. "Every great work, every big accomplishment, has been brought into manifestation through holding to the vision, and often just before the big achievement, comes apparent failure and discouragement." She kept plugging away, kept the faith despite several "I'm sorry, we've filled the position." "A great accomplishment shouldn't be the end of the road, just the starting point for the next leap forward." Today, my hubby and I could not be more proud of our oldest daughter. Years ago, Elie thought/dreamed of being a teacher. However, when college rolled around, she made the choice to enter into another career path. She made us proud then too. She completed her degree in Public Relations/Communications with a Minor in Marketing and did it in just 3 and a half years. She graduated, and went to work the very next morning. She stayed on in that position for a year and a half. This past fall, she had the opportunity to coach rec league cheerleading and a competition squad made up of girls 10-12 years of age. She LOVED those girls!! And, it sparked something...the desire to teach and coach. There were several interviews, all very positive, but then a week or so later came the "we are sorry to inform you, we have filled the position." However, she never once stopped trying, pushing through. Well...we are happy to say that her perseverance paid off...the call came yesterday. She will be teaching high school, coaching, AND she starts next week!!! Elie, dad and I could not be more proud of you for taking that leap of faith, trusting God to open doors, and for your passion for young people (she will be teaching in the Special Education department). And, as you have said time and time again, "if I can make a difference in just one child's life, it will all be worth it." and, we know you will. For those of you with dry/color treated hair...this product by Earth Science is amazing. One treatment and your hair is feeling silky smooth again. I found this at Whole Foods. 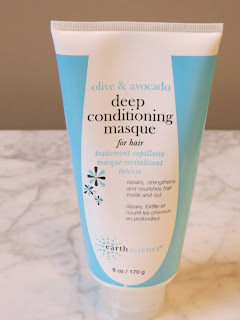 My latest find...I was a fan of Aveda ( the Avanti line to be exact), but was tired of paying a fortune for their products. 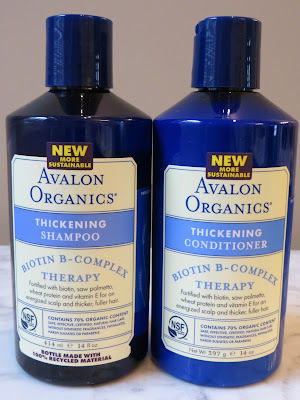 My youngest and I both struggle with breakage and loss of hair (she due to medication, me, the dreaded hormones). 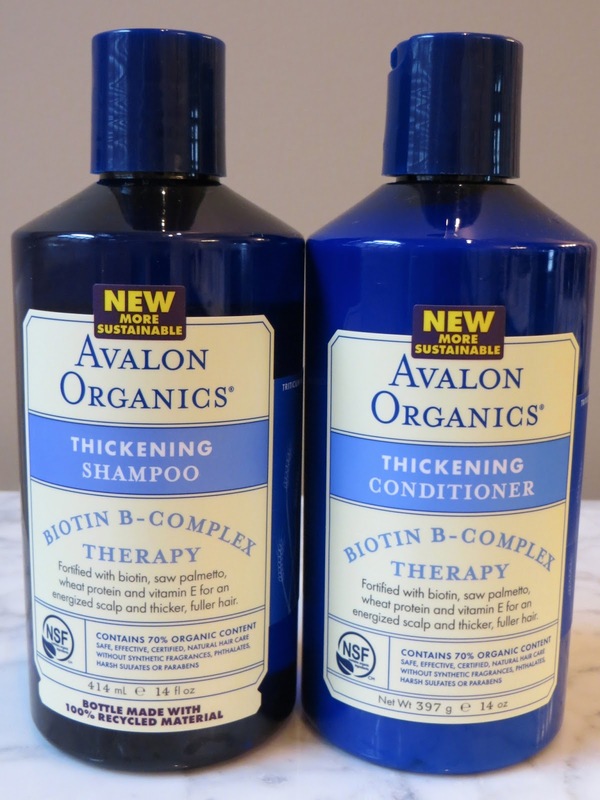 She did a bit of research and stumbled upon Avalon Organics new Biotin B-Complex Shampoo and Conditioner. We found it at Whole Foods and decided to give it a try. We both LOVE the product. At first we were a bit skeptical about the conditioner ( our hair required a bit more detangling), but now...no problem at all. And, the less hair on the bathroom floor the better! ***I have in no way been compensated by the companies mentioned above, I just happen to use and love their products. Okay, at least it isn't prom night (been there done that!). But, SERIOUSLY?????? It is like a monsoon outside AGAIN. I believe we are now on day 30 or so out of 41 with non-stop RAIN people!!! While everything is lush and green, we really haven't been able to enjoy it! And lo and behold, they think the tropical storm just might head our way early part of next week. I did not sign up to live in Seattle (no offense my Seattle Sea Worthy Friends). Well, at least I managed to snag these out of the garden before the rain hit. Nothing like fresh herbs from the garden. Hubby is making herbed burgers topped with herbed aioli butter, and roasted potatoes and onions with fresh herbs. Yup, herb overload. But, at least I can taste summertime weather!!! Hope the rest of you are soaking up the sunshine! Okay, so I realized I have a lot of beauty products that I truly LOVE...and I feel like I have been holding out on my readers by not sharing. So, I decided to post some of my favorites on Mondays-hence Beauty-full Mondays was born. 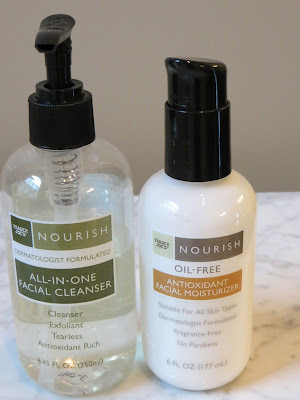 Today will be all about my favorite skin care products for my face. And yes, they are few...I have sensitive skin and do NOT like to use a ton of products. In this category, I have found LESS is definitely MORE! Who knew I would find my beloved facial cleanser and moisturizer at Trader Joes???!!! Get out! As I mentioned, I have sensitive skin (I grew up an Ivory girl). The cleanser does a great job of removing my makeup at night, and the moisturizer is super light, not greasy at all. I love this Vitamin C serum by Avalon Organics. Super light, and I do notice a visible difference using it. I found mine at Whole Foods, but I do believe Target carries it as well. A little pricey, but a LITTLE GOES A LONG WAY! 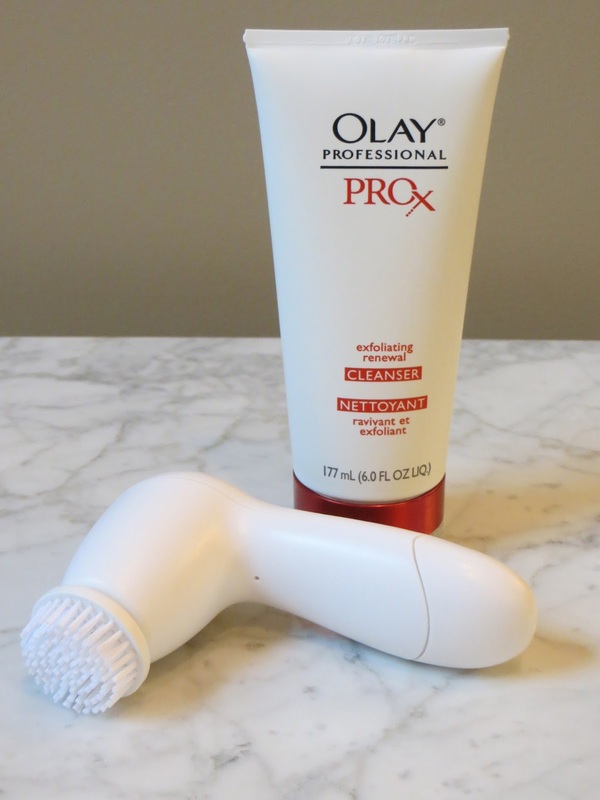 I had purchased a Clarisonic Mia for my oldest when they first came out, and was considering a Clarisonic for myself and my youngest when we stumbled upon this version by Olay. Run, don't walk, and get yourself one! I noticed a difference in the feel of my skin the first time I used it. It has two speed settings and is under $30! 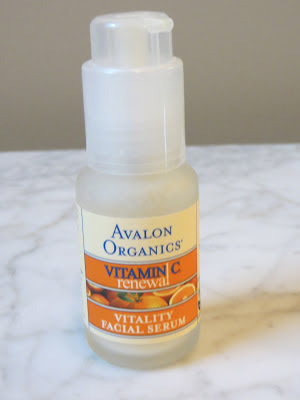 It left my face feeling as smooth as a baby's bottom. I use it 2-3 times a week along with the Pro X cleanser. And, yes my friends...it is as simple as that! I told you, I am not a fan of glopping on the products. If you decide to try any of these I would love to know what you think. ***I have not been compensated by any of the above companies...I just love their products! Chicken Divan. The very first homemade dish my sweet hubby made for me when we first started dating. To this day it is one of my all time favorites! I love Curry! Line casserole dish with broccoli. Put chicken on top of broccoli (we shred ours prior to). Mix everything else but the cheese and bread crumbs. Spread mixture over top of the chicken and broccoli. Sprinkle with bread crumbs and cheese on top of everything. Bake 350* for 45 minutes. So yummy, and even better day 2! Look closely, you can see the rain coming down. A little closer (this is the front yard/porch side). Back yard/back porch side-same time...WOW...no rain and sunshine! Totally random...sun shower in the front yard and well...no rain in the back. I was sitting at my desk in the office looking out front and commented to my youngest in the kitchen, "wow, it is raining again!" To which I received the reply, "Huh?...not raining here." She was just 25 feet away in the kitchen on the backside of the house. Gotta love those pop up summer showers! Treats she was making at the time to take to "House Church"...she and several other college students (mostly from our home church) get together every Tuesday evening at a local home to talk about God's word. AWESOME! We have had the pleasure of hosting, and they are a fun bunch to be around. Our oldest has finished up her student teaching...all passed summer school. Yippee! She is now into the interview process for the fall semester. Please keep her in your prayers. She is hoping to teach Special Ed, elementary-high school. 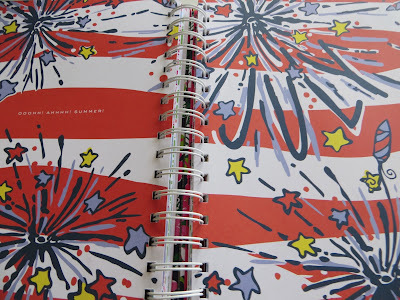 If I don't post again beforehand, praying all have a Happy and Safe 4th! We are expecting more rain...so probably a wash out here in the South! Blueberries are ripe for picking! YUM!! 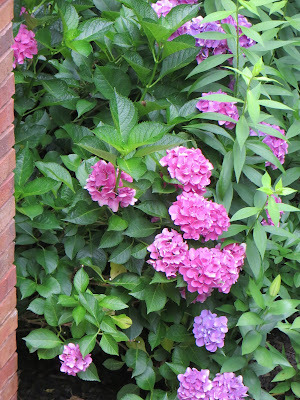 And, Hydrangeas are in full bloom! The candle is a recent find with a scent called Back Porch...smells Heavenly! This bush took off this year and is producing blooms like never before! 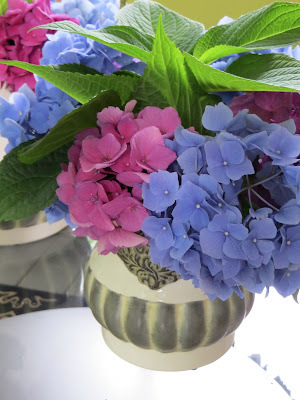 Love this lavender blue color! Summer is officially here! Hand picked blueberries in our very own back yard, and hydrangeas in full bloom. Doesn't get any better than this. It is a rare occasion these days, but Saturday brought an opportunity to cookout with BOTH of our girls. With our youngest home from college for the summer and our oldest finishing up her student teaching, this past weekend was a chance to hang out as a family. Of course we welcomed the addition of Elie's sweet boyfriend and a college friend as well. We enjoyed some seriously good food...I will let the pictures speak for themselves. Ribs! Oh my...honey dry rubbed some and others were smothered and covered with an apricot-bourbon bbq sauce made from scratch. Finger lickin' good! Fresh corn on the cob, little bit of olive oil and Trader Joes 21 Seasoning Salute! Pasta Salad-tri color noodles with Newman's Own Family Style Salad Dressing. Cubed mozzarella-topping #1 for the pasta salad. Quartered pepperoni-topping #2 for the pasta salad. Sliced black olives-topping #3 for the pasta salad. Fresh grape tomatoes-topping #4 for the pasta salad. I like having the toppings available on the side so everyone can chose what they like. YUM!!! Berry Cobbler that our youngest made from a recipe in her Lilly Pulitzer Book. Screams SUMMERTIME! Add a dollop of vanilla ice cream, and you are in Heaven!! We finished the evening off with a game of Apples to Apples...lets just say...#2 kicked everyone's booty!